At a time when constantly inundating the internet with every single thing you’ve been working on seems to be the move for a lot of up-and-coming artists, singer-songwriter Juto is proof that some of the best work comes after you’ve remained low-key. My introduction to Juto’s music came sometime last year when I heard his cover of Daniel Caesar’s “Get You”, and since then, I was hooked to the soulful, guitar-drenched R&B that he carefully crafted in the few pieces of music he’d put out. Today, Juto makes his boldest statement as an artist yet with the release of his new EP, Velvet. Over 7 tracks, he locks a listener into a shoegaze daydream where it feels like you’re constantly stumbling into love with the start of each new song. 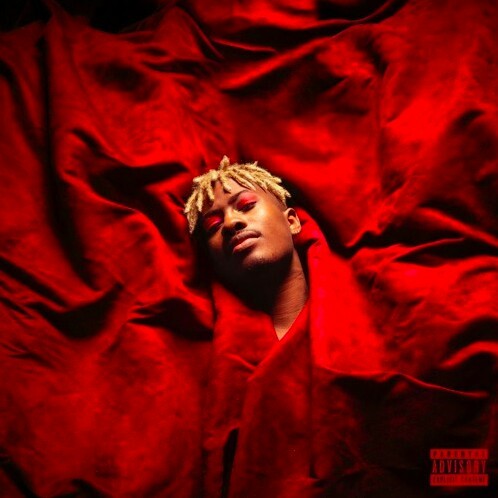 For an artist who seems decisive about what he decides to put out into the world, Velvet feels like an especially refined step, communicating profound attention to detail that comes through in the selective production choices throughout the EP. In such a way, Juto makes the most of the strongest weapons in his arsenal — his voice and his guitar — giving these elements the most shine while simultaneously creating a beautiful atmosphere of sound to surround them. It all pays off when you get through Velvet and realize how cohesive the whole project feels, especially in the barest moments where a track is reduced to nothing but layers of whistling acapella vocals. The daydream comes to an end with an unexpected (but much appreciated) Tekken sample, which really makes the whole journey feel like one prolonged fantasy.